Arsenal failure to qualify for this year Champions League, a competition they have played in the past 20 years, and now playing in the Europa cup is not the only sign of decline at the Emirate. It is now apparent that Arsenal’s ability to attract the players they desire is dwindling, or to put it in another way, those players are turning Arsenal down, and the ones currently in the team are desperate to leave. Both Sanchez and Ozil wants to leave the club. At the peak of the summer transfer window, when it became apparent that selling Alexis Sanchez who was bent on leaving the club was on the card, Arsenal considered several options. 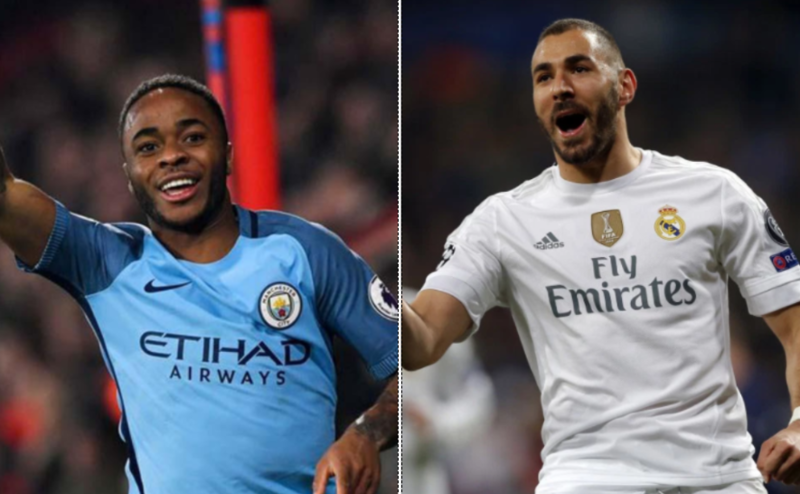 Sterling was in the England camp on the deadline day, but while Arsenal was frantically pursuing Monaco’s Thomas Lemar, the club had accepted an offer of £60m from Man City or a reduced fee plus Sterling. City manager Pep Guardiola promptly rejects this request as a condition to buy Sanchez, however, in an interview this week, it emerged that Raheem Sterling himself never gave coming to Arsenal a thought! He was so confident of his City career that he never thought of Arsenal “for a minute” nor did he discuss the news with his manager. Reports that Arsenal submits a bid for Real Madrid’s Karim Benzema seems plausible. Wenger is a known long term admirer of the French striker. The timing and rationale of the bid if true are questionable though. First Benzema just signed a new contract in September, extending his stay at Madrid for another 4 years, hence, he is not likely going to be for sale at this time, and second even by Wenger’s admission, Arsenal is suffering from Strikers overload. Benzema is a centre forward and cannot possibly be the replacement for the departing Sanchez who plays predominantly from the wing and Arsenal have just invested £53m on Lacazette. In addition, Giroud and Welbeck are still in the team. While many will argue that Giroud and Welbeck are not the players that will take Arsenal to the next level, they are considered first team players and without getting rid of them before buying a player like Benzema, Arsenal will have too much players upfront and desperately short in other department. SKY SPORTS is reporting that Benzema’s agent Karim Djaziri has promptly slam the door on Arsenal, he told Sky Sports that Karim Benzema is happy at Madrid and not looking for a move to Arsenal. If Arsenal submitted a bid as reported, and was rebuffed so sharply, it is not a good sign. Wenger is still a renown manager, he presided over an Arsenal team that won the FA Cup three times in the last four years, but for a team that wants to compete at the highest level, ability to attract and keep quality players is key, and it looks as though this is missing at Arsenal right now.